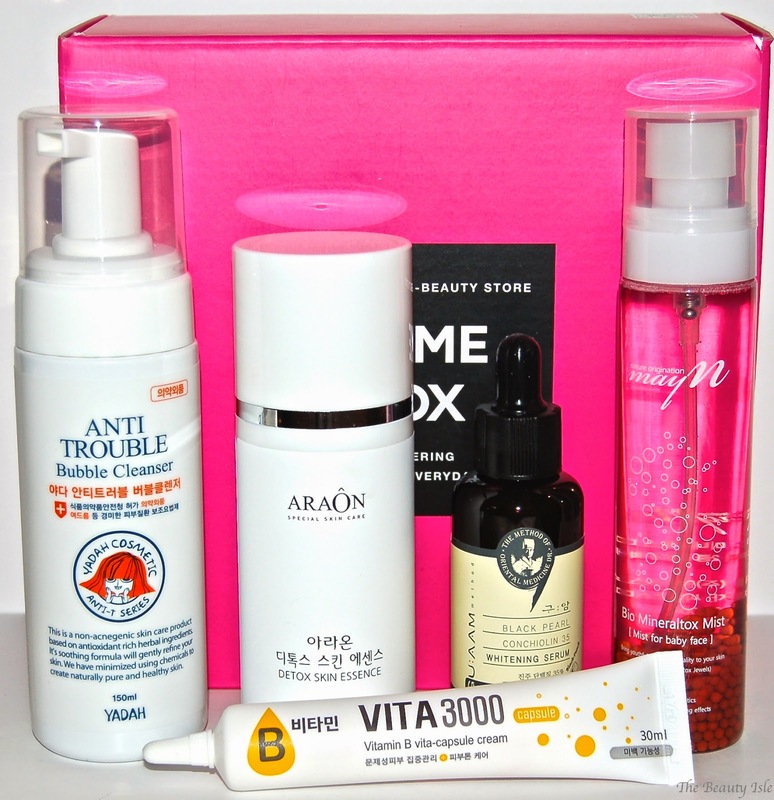 Memeboxes (pronounced "Mi-Mi-box") are Korea's best selling beauty box. Korean cosmetics and skincare are known to be the best in the world and these boxes are the perfect way to try lots of different products. Memeboxes include hair, body, and skin products as well as cosmetics. Each box contains 4-8 deluxe samples and full size products. There are also special edition and themed boxes. Today I'll be talking about the Detox & Renew Box. The cold weather months leaves us susceptible to get lazy on our skincare routine! But, did you know? The constant switching back and forth between central heating and frigid winds causes excessive dead skin build up, in addition to lazy skincare increases the rate at pore-dwellers multiply and grow! While “the more the merrier” applies to most things in life, the growing party of pore-dwellers is never fun, and is definitely not a beautiful sight! To help you in your skincare predicament, we bring you our newest Detox & Renew box, perfectly curated to eliminate the deepest skin toxins, remove dead skin cells, clarify congested pores, and alleviate damage from internal and external aggressors. Each product in the box is a one-stop solution on its own, addressing everything from large pores and clogging to brightening cloudy skin! Take this box, your one and only solution for lustrous and healthy skin, use after use. This is a whitening serum that contains AHA and black pearl protein to help support cell renewal and toxin elimination. This results in brighter, firmer, and more radiant skin. I've been using this for a week now and I look forward to seeing my skin become brighter and more radiant! This is a foaming face wash that delivers gentle acne medication (salicylic acid) which improves the skin's appearance. This face wash also helps detoxify the pores by clarifying dirt and oil build up. 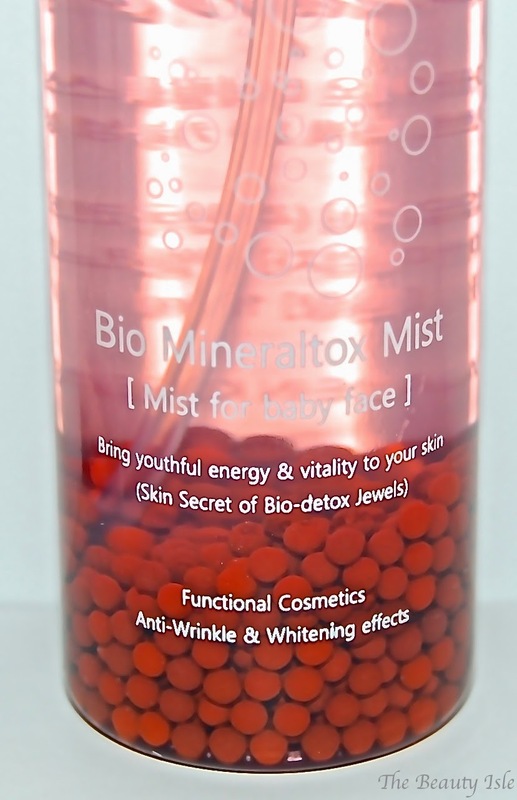 This face mist purifies, brightens, clears, and invigorates the skin. It contains detoxifying lemon balm, apple mint, royal jelly, and more. The "secret beads" are made with ions and mineral water. It seems like this is a mist that you can use a little like the MAC Fix+ because it also claims to help the look of your makeup if it's caking up. This mist smells really nice and fresh. The beads are really cool, though I just wish I knew their benefit besides looking pretty. I also wish I knew what the beads were made of besides "ions and water". The packaging of this product led me to think that this is a cream or lotion. It's actually a liquid. 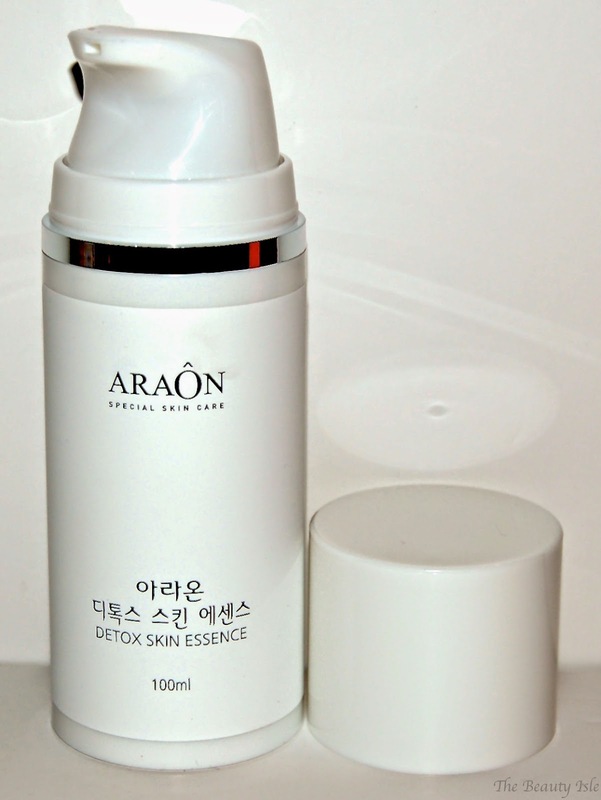 This skin essence contains maple water, green tea extract, and other skin detoxifying and renewing ingredients. It plumps and detoxifies for luminous skin that appears visibly renewed. This cream delivers Vitamin B which soothes irritated skin, and calms red, inflamed red. You apply this over dark spots. It can be used in conjunction with your current daily skincare routine. I'm curious to see the effects of the Black Pearl Whitening Serum and try the facial mist. It is important to note that the information on the products is not in English so each box includes an informational card which you should not throw away! As you can see, I received 5 full size products and the retail price of these products add up to $159 which is amazing! This particular box is sold out but there are tons of Memeboxes that are ready to be shipped right now. 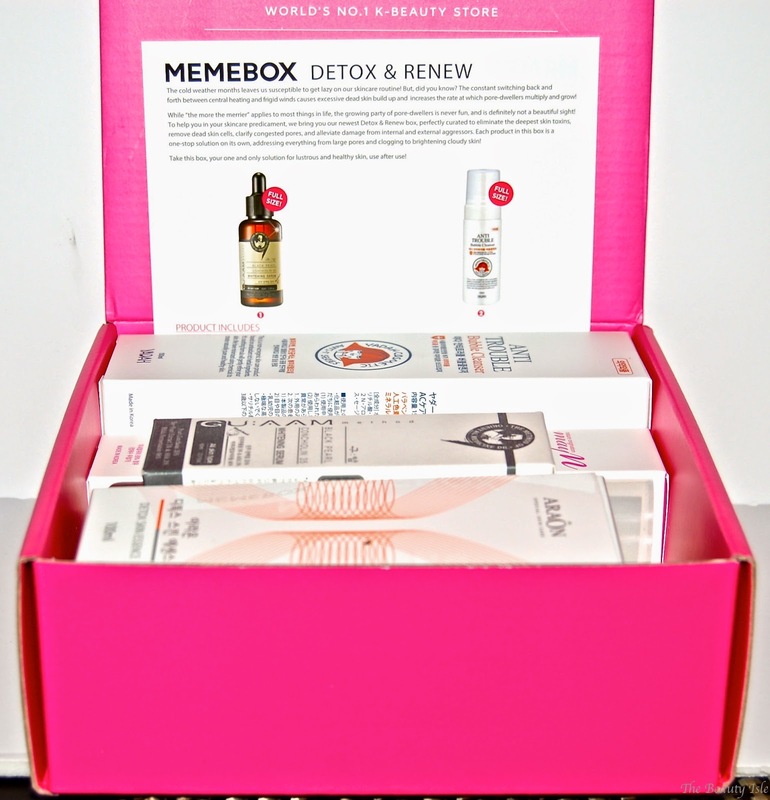 Memebox is not a continuous subscription service, you pick and chose which boxes you'd like to receive and there are numerous ones each month to pick from. If you'd like to check out the selection you can click HERE and until the end of February Memebox is offering $5 off any order that is $50 or more with the code FABFIVE! Disclaimer: I received this product for review. All statements are 100% honest and my own.